Paperchase is becoming an every-post mention for my blog, I just love the shop so much! Something that has caught my eye as a gift is the 2015 diary from their Dark Romance range, and the matching pen you can buy to go along with it. I think it would make a lovely gift for someone that likes to be organised or would like to be organised. Topshop make up is meant to be amazing. I haven’t used it so I can’t comment on what I think, but from what I’ve heard, I think it would make a lovely present! Especially when you have a lipstick and blush that go together really well, this would be great for someone who doesn’t really know what blush or lipstick to go for. You will have helped them out great amounts! These are so cute! I’d love to look in my stocking and find these, they’re a cute gift and chocolate is obviously delicious, these would be perfect to tuck into after Christmas dinner. They’d also be a good gift for children if you wanted to get them some chocolate! Something I ask for each year and always manage to think of more to ask for each year, even if they were released in 2003. You can always win by buying someone a DVD of a film or TV show they like, I know this is certainly something I love unwrapping on Christmas day. I find funny books are a winner at Christmas, I love reading through books I’ve been given for Christmas on the evening, after dinner and the Doctor Who/Downton Abbey Christmas specials. 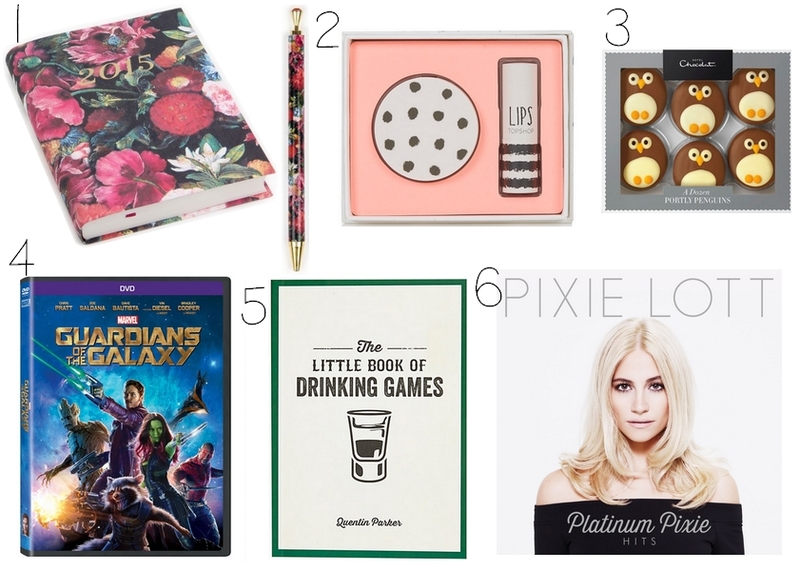 Beauty books are also great for people that love beauty! I still buy CD’s, and still ask for them for Christmas. A lot of people use them for their cars or their CD player at work. I like buying people CD’s because I feel they are less of a waste of money than downloading from iTunes – if I’m paying a good amount of money I want the physical copy!